1) National: More than 100 organizations have demanded that Wells Fargo and JP Morgan Chase stop financing private prison corporations that profit from the pain and separation of families. “On September 26, 2018 hundreds of thousands of people from many organizations across the nation including the National Domestic Workers Alliance, MomsRising, MoveOn, In The Public Interest, Little Sis, ACRE, Color of Change, Make the Road New York, AVAAZ, Enlace, Presente.org, the Center for Popular Democracy, and others signed petitions that were delivered to your corporate headquarters urging the end of financing of CoreCivic and Geo Group.” [Letter]. Forbes has an excellent in-depth interview on the subject with Families Belong Together coalition members Matt Nelson of Presente.org and Xochitl Oseguera of MomsRising/MamásConPoder. 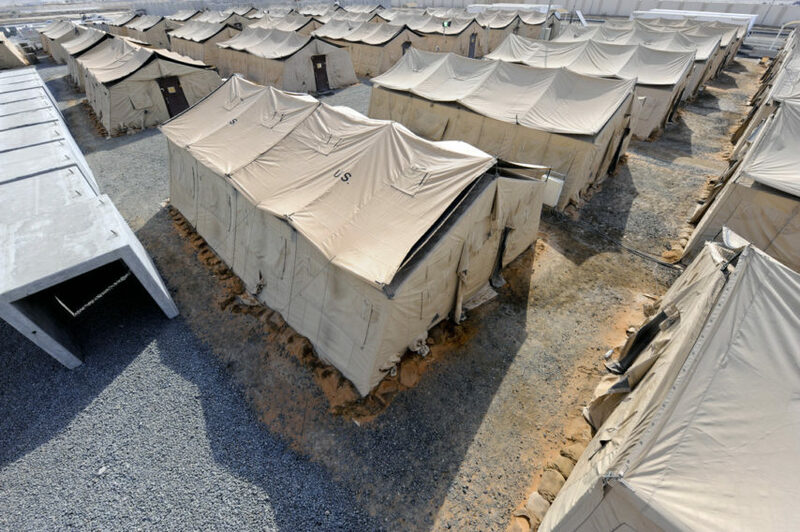 2) National: The New York Times reports the federal government is moving hundreds of migrant children to a contractor-operated tent city in the Texas desert that costs an estimated $100 million a month to operate. The money has been diverted from federal programs “targeted for medical research, treatment, and other programs.” The story was originally broken by Robert Moore of Borderzine.com in the Nonprofit Quarterly last Monday. Moore has covered the story for the Texas Monthlyand Washington Post. Kavanaugh also defended Jeb Bush in Bush v. Holmes, a lawsuit challenging a controversial private school voucher program in Florida; and submitted an amicusbrief in the Good News Clubcase, arguing that a public school district’s refusal to allow an evangelizing Christian youth group to use its premises was discriminatory and in violation of the Constitution’s First Amendment right to free speech. [Good News Club v. Milford Central School, 2001 U.S. LEXIS 4312 (2001)]. One of the key amicus briefs for the Good News case was submitted by Jay Sekulow, the lead counsel for Pat Robertson’s American Center for Law and Justice, and now on Trump’s personal legal team. 6) National: Jeff Bryant, the editor of the Education Opportunity Network website and an Associate Fellow at Campaign for America’s Future, details education secretary Betsy DeVos’ favors to the for-profit higher education sector. 8) Vermont: Commenting on the state’s decision to move some of its prisoners to a CoreCivic facility in Mississippi, Valley Newscolumnist Jim Kenyon says, “After looking over the 63-page agreement, I’m not sure Vermont’s out-of-state inmates will fare any better in Mississippi than they did at Camp Hill State Correctional Institution in Pennsylvania, where three Vermont inmates have died since June 2017. The contract allows CoreCivic to keep offenders locked in their cells up to 18 hours a day. Recreation time, which is how many inmates blow off steam, can be limited to 90 minutes a day. Having a paying job can also be a way to pass the time, but CoreCivic is required to employ only 40 percent of Vermont inmates. According to the prison’s 80-page handbook, inmates will be fed in their cells by prison staff. (Some people might consider this room service, but it seems to me just another way to keep prisoners in their cages. )” The Vermont contract pays CoreCivic up to $18.4 million over two years. On September 21, CoreCivic’s CEO, Damon Hininger, sold 35,324 shares of the company’s stock, worth $909,593. He still owns 60,082 shares in the company, valued at $6,697,111.50. Two weeks ago WMATA sent out requests for private contractors to bid on Silver Line extension work. The union said “there is objective evidence around the country that privatization is not a cost saving, but instead drives up fares, jeopardizes safety, results in service cuts, and fosters an environment for political corruption because it puts profits ahead of the riding public. Furthermore, Metro provided no examples of improved rail service through privatization [in the] U.S. Still, Mr. Wiedefeld refuses to let those facts get in the way of his destructive agenda.” [See ATU 689’s report, WMATA: Fund It, Fix It, Make It Fair]. 16) Illinois: Prospects for a $1 billion ‘public-private partnership’ to build a 12-mile express train link from downtown Chicago to O’Hare Airport remain uncertain after a dramatic week in which the project’s backer, Tesla head Elon Musk, faced charges, then concluded settlement, with the SEC over statements Musk made about taking Tesla private. The agreement removes Musk from the chairmanship of Tesla. Musk’s Boring Company, which would build the link, has been excluded by the SEC from the agreement. But details of the airport link are shrouded in secrecy, which has led the Chicago Better Government Association to file suit to force some transparency. [BGA complaint]. The airport link may be getting a boost from Washington, DC, where a provision tucked into the FAA reauthorization bill now working its way through Congress could channel $152 million in Passenger Facility Charge (PFC) revenue to the project. Although Musk has said his Boring company and not the city would bear the costs of the project, will Boring be able to raise the financing considering the challenges facing Tesla? The New York Timesreported (before the announcement of the SEC settlement) that “Tesla has struggled to meet its production targets for the Model 3, and has continued to burn through cash while two bond payments totaling more than a billion dollars will come due in the next six months. Tesla had $2.2 billion in cash at the end of the second quarter, but has been using up nearly a $1 billion every three months. It also has about $11 billion in debt, and owed its suppliers $3 billion as of June 30.” Los Angeles Mayor Eric Garcetti has given Musk a vote of confidence. 22) Massachusetts: The New Bedford charter school battle is heating up. “The Alma del Mar proposal is meeting with stiff resistance from the city’s mayor, Jon Mitchell, who says the expansion would have a devastating effect on the city’s finances. Mitchell wrote about the effect of charters on district finances in July and he made the case against expansion last month on The Codcast, calling the plan ‘unreasonable’ and pointing to the city’s already challenged fiscal picture.” The charter school expansion is being backed by the right wing Pioneer Institute. 25) Missouri: A group promoting the privatization of St. Louis Lambert International Airport has launched a drive that it says will gauge support for the proposal. But “a grassroots group called STL Not For Sale has criticized the survey as being biased. Alderwoman Megan Green, D-15th Ward, said last month that the door-to-door effort appeared to be a campaign to promote airport privatization.” The pro-privatization group will begin sponsoring “informational meetings” this month. 29) Pennsylvania: Parents are circulating a petition opposing the Pocono Mountain School District’s plans to outsource student transportation services. “Parents have concerns about the proposal and wonder what it could mean for students and their long-time bus drivers. “According to a union representative, about 200 school bus drivers could lose their jobs. Many have given their life’s work to the district. From the first day of kindergarten through their current junior year, the same smiling bus driver has greeted the Palmer twins. ‘I can rest easy knowing that Ms. Annie’s on the job and the kids are going to get to and from school safely,’ says Jillian Palmer, mother. The twins’ mom, Jillian, worries their beloved bus driver’s job is in jeopardy. She adds, ‘this is something that could impact the entire community in a detrimental way I believe.’” A public hearing is set for Wednesday, November 14th at 6 pm. 33) International: Veolia, the French water and waste group, is to sell its 30% stake in Transdev to Germany’s Rethmann,Le Figarohasreported. Transdev North America is the largest private sector operator of multiple modes of transit in North America, including bus, rail, paratransit, shuttle, sedan and taxi services. They manage over 200 transportation contracts for cities, transit authorities and airports. 35) Think Tanks/Ohio: The Greater Ohio Policy Center has issued a brief report showing how public money could be better used to improve the state’s transit systems, which have been starved into near-collapse by radical austerity programs. See GOPC’s Fueling Innovation in Transit: Potential Funding Options for Public Transit.